Black resin case with a black resin strap. Fixed black bezel. Digital dial displaying hours, minutes, seconds, date and day of the week. . Dial Type: digital. Complete calendar. Casio Calibre 3229 quartz movement. Scratch resistant mineral crystal. Rectangle case shape. Case dimensions: 48.9 x 42.8 mm. Case thickness: 13.4 mm. Buckle clasp. Water resistant at 200 meters / 660 feet. 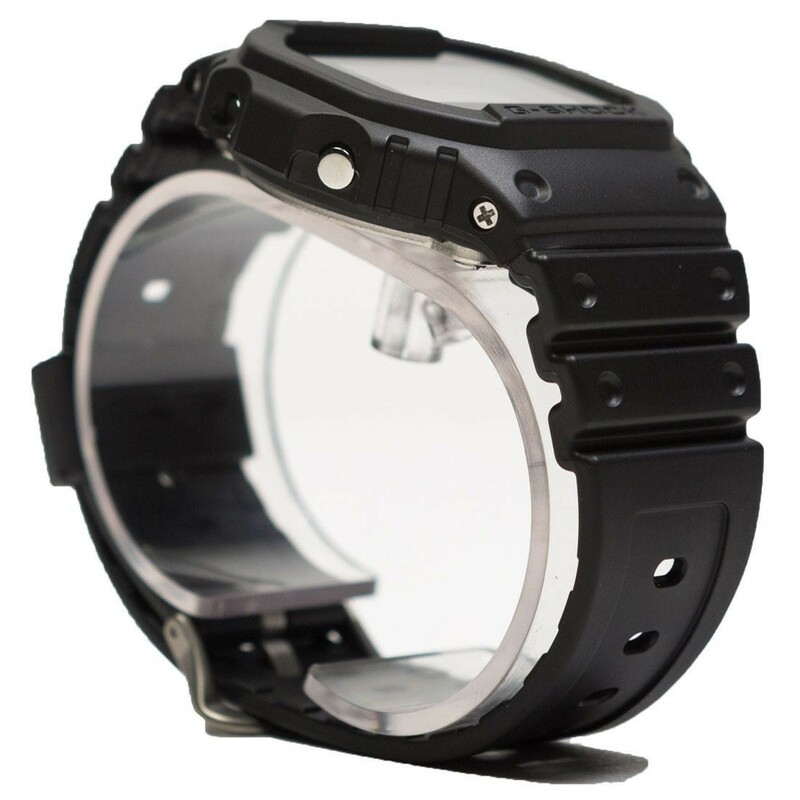 Functions: date, day, hour, minute, month, second, 1/100-second stopwatch, countdown timer, multi-function alarm. Sport watch style. Watch label: Japan Movt. 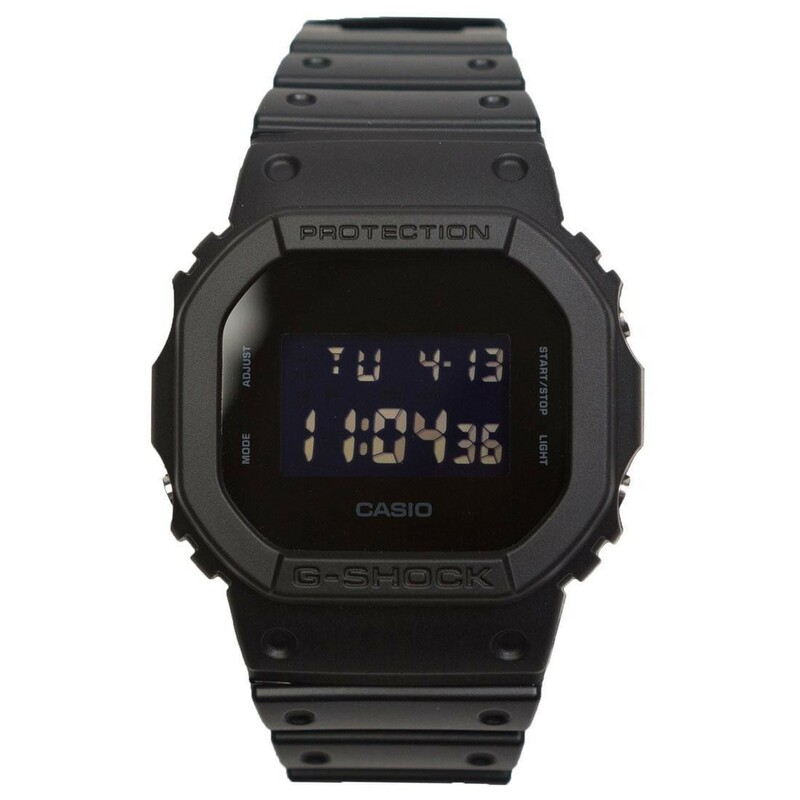 Casio G-shock Mens Digital Watch DW-5600BB-1CR.